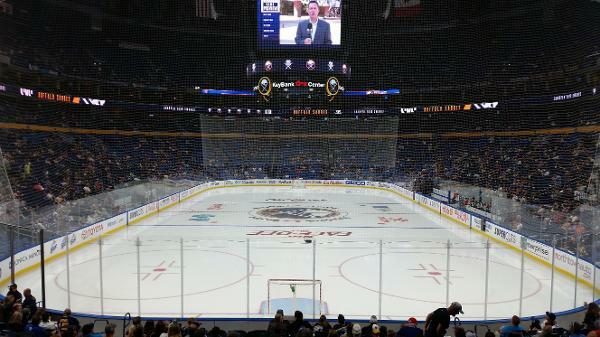 These are great seats directly behind the net the Sabres shoot twice. Tickets are located in Row 17 which is just right to give you the benefit of being close to the ice but also high enough for great view of ice. Check-out view from seats in attached photo. Willing to consider offers for less than 5 game minimum. This listing has been saved by 1 person.